India is a home of spices where you can find endless variety of spices and food products. Crispy fried onions are one of these products that are exceptionally in demand in India. It’s because of the crispy flavor added by these fried onions in the food. But do you know how they are made? You might have heard about dehydrated onions and other products, but crispy fried onions have different processing method from them. 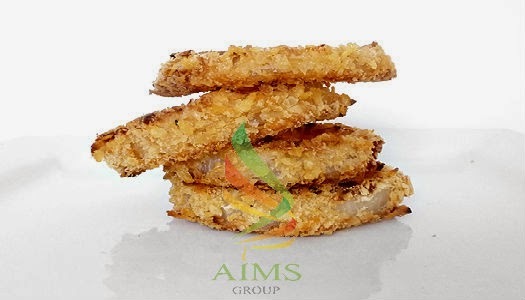 You need few things to make crispy fried onions at home- deep fry pan, oil, fresh onions slices, bread crumbs, salt, baking powder, corn flour and milk. Separate the slices of onions into rings and put aside. Take a small bowl and add flour, salt and baking powder, mix well. Dip the slices into the mixture and coat them well. Pour milk in the flour mixture and prepare a thick batter. Coat the rings well and then place them over a aluminium foil. Now sprinkle bread crumbs over them and cover the rings. Tap them slightly with hands to set. Deep fry the coated rings till they turn into golden brown. Season with salt and serve as a snack. You can serve these crispy onion rings as a snack with tea or you can be more innovative and serve the crispy fried onion rings with Indian food like Biryani. These fried onion rings have crispy taste and can be used as topping or garnish material for Indian dishes. These munchies are taste even great with fish fry and make you feel like you tasted a food of heaven. Onions and garlic are widely used in Indian culinary dishes. Crispy fried onion rings in India are used as variant that one can eat as a snack or decorate and garnish the dishes to add heavenly flavor and taste.